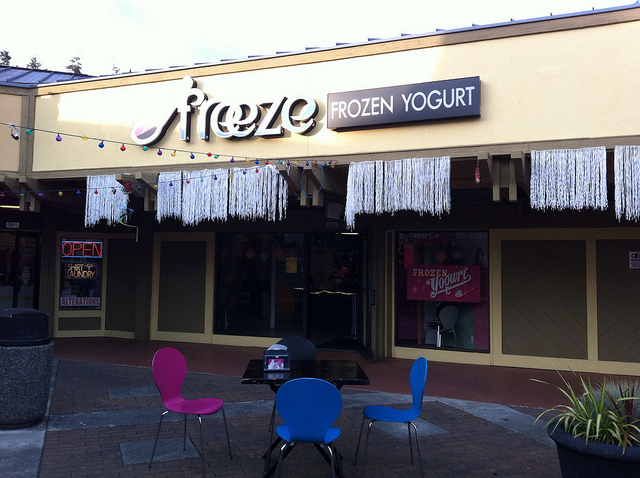 Freeze Frozen Yogurt at 3806 Bridgeport Way West (Green Firs Shopping Center), University Place, WA has been around for about six months and the employees (owner?) was friendly. They have ten flavors (Mango Tango, Alpine Vanilla, Pomegranate Raspberry, Thin Mint,Cake Batter, Milk Chocolate, Hawaiian Pineapple, Sweet Coconut,Cheesecake and Lemon Bar) at any one time and a nice assortment of toppings. On the way home this little girl was wandering around in the street, stopping traffic. How could I leave her there? So I scooped her up and brought her home. After an hour or so the owner called me back and we took her home. 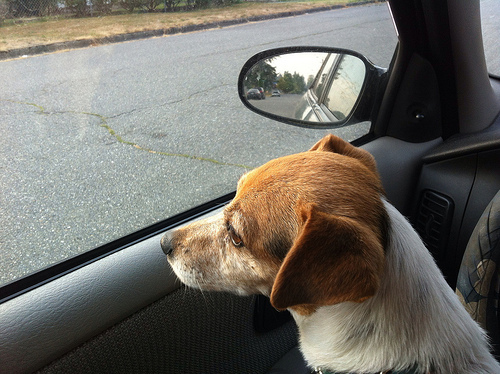 She was a very sweet dog, but growled at our two pups. Update: June 2015. There is a sign up at Freeze that says they are closed because of mechanical issues, but the sign has been up for a while and I wonder if they are just closed. This entry was posted in Coffee Shops, cafes and bistros, Restaurants, Take Out, Their future is in question and tagged Alpine Vanilla, Cake Batter, Cheesecake and Lemon Bar, Freeze, frozon, Green FIrs, Hawaiian Pineapple, Jack Russell, Mango Tango, Milk Chocolate, Pomegranate Raspberry, Sweet Coconut, Thin Mint, University Place, WA, yogurt on September 13, 2012 by admin.